What Caused This Ferry Accident That Injured 45 Passengers? Home » What Caused This Ferry Accident That Injured 45 Passengers? Seastreak, the company that operates the new Providence-Newport vessel, is facing $75 million in lawsuits after a ferry accident in 2013 that injured 45 passengers. The ferry was carrying 326 passengers when it smashed into a docking barge. According to the National Transportation Safety Board (NTSB), the ferry did not have a safety management system. According to the NTSB, there was confusion about which mode the ferry was operating in and the captain lost control. The propellers remained in forward pitch position, which actually sped up the ferry as it approached the dock, rather than slow down. Additionally, there were no procedures that limited passenger access to stairwells during high-risk scenarios, such as docking. There were also no alarms that sounded, nor did the captain inform the passengers of the situation. If a safety management system was in place, it is possible this ferry accident would not have happened. Safety management systems require companies that own vessels to provide current documents, train workers on safe practices, have emergency systems in place, define all roles of the crewmembers and ensure the captain has the help he or she needs during an emergency situation. Maritime accidents put passengers and crews in extremely dangerous situations. A safety management system ensures the safety of the ship, marine environment and all on board. It details how a vessel should operate daily, drills, training and emergency procedures. When a safety management system is not in place, injuries or worse can occur because crewmembers do not know how to react in emergency situations. If a worker or passenger on a vessel sustained an injury because a safety management system was not in place, it may be possible to hold the company that owns that vessel responsible for his or her injuries. 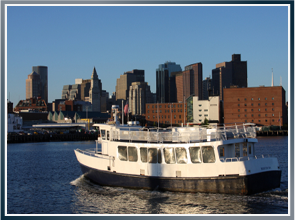 Latti & Anderson LLP is a maritime injury law firm with offices in Boston and New Bedford, MA. Next What Happens When a Maritime Worker is Injured On Land?